ESO Supernova Exhibition — Which planets can harbour life? Which planets can harbour life? Life as we know it requires liquid water, which can only exist over a certain range of temperature. 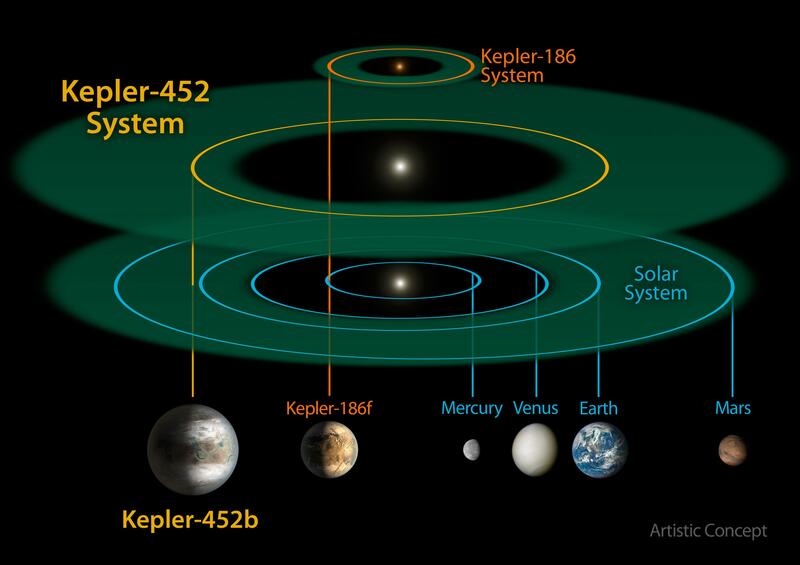 Depending on a star’s luminosity, this range defines the habitable zone around it. Just right: The width and location of the habitable zone in a planetary system depend on the luminosity of the central star. Close enough for comfort? : For a red dwarf star like Gliese 581, the habitable zone lies much closer in than for a star like our own Sun. If a planet orbits too close to a star, the temperature is so high that all of its water evaporates. Too far from the star, and everything freezes. Temperatures compatible with liquid water on the surface can only be found in a certain range of distances, called the habitable zone of the parent star. 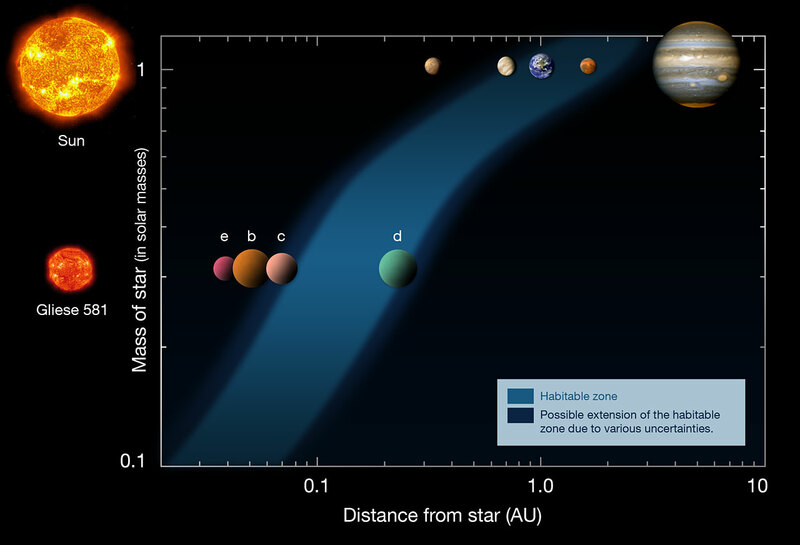 The habitable zone lies closer in for cool dwarf stars than for hot giant stars. 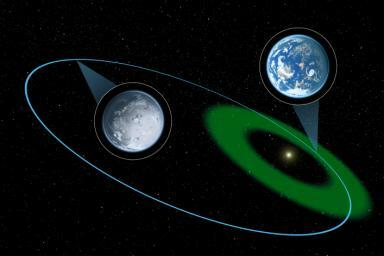 But there are many more conditions that must be met for an exoplanet to be habitable. For instance, the planet must also be massive enough to retain an atmosphere, and it must not be exposed to lethal stellar flares or particle radiation. Even then, no one knows how easy it is for life to actually emerge and persist, as we have not found any life outside Earth yet. 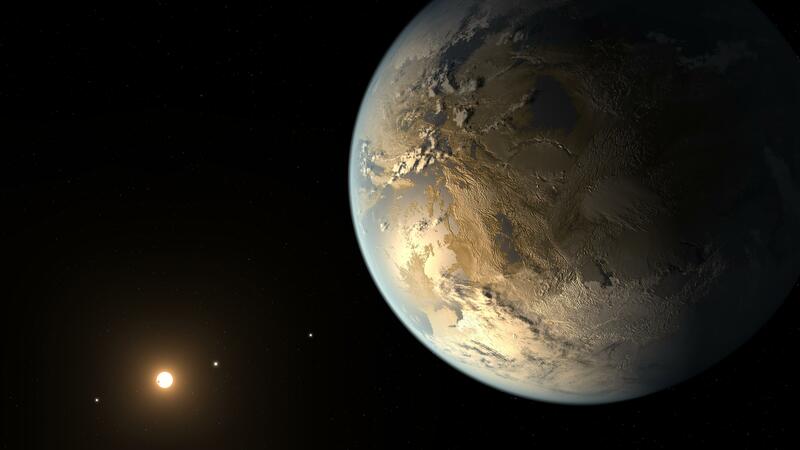 A habitable neighbour? : Even Proxima Centauri, the closest star system to us, is orbited by a planet. The neighbouring stars Alpha Centauri A and B are at the far left in this artist’s impression. Eccentric existence: A planet in an eccentric orbit might periodically dip in and out of the habitable zone of its parent star. To host life, a planet must not be too hot or too cold. Around every star is a “habitable zone”, where the temperature is just right for water to be liquid. This is also known as the Goldilocks zone. Do you know why?